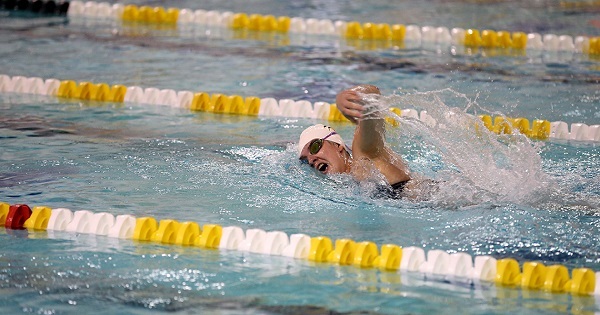 Richmond, Va. – Sophomore Brenna Litynski (Hollywood, Md./Home-schooled) set a meet record in the 50 freestyle Friday night at the Yellow Jacket Invitational hosted by Randolph-Macon College at the Collegiate School Aquatics Center. 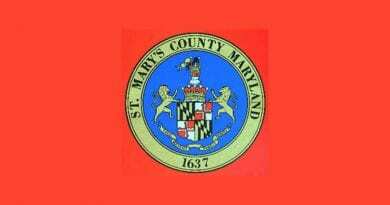 The St. Mary’s College of Maryland women’s swim team currently sit fifth in the team standings with 318 points ahead of former Capital Athletic Conference foe, Marymount (Va.) University (166 pts. ), and just behind Barton College (369 pts.). Litynski captured the 50 freestyle with a meet record of 24.32, breaking the old mark of 24.48 clocked last year by Claire Featherstone of Division II Catawba College. Litynski then anchored the winning 400 medley relay to cap off the first day of action. Joining her on the winning relay, which put up a 4:04.98, were first-year Rileigh Krell (Baltimore, Md./Sparrows Point), senior captain Hailley Baughman(Lineboro, Md./Manchester Valley), and junior Holly Smith (Calne, England/Skyline [Wash.]). The foursome of Litynski, first-year Leila McCloskey (Leonardtown, Md./Leonardtown), senior captain Samantha Schoenecker (Dallas, Texas/Woodrow Wilson), and junior Carolyn Sutton (Laurel, Md./Laurel) grabbed a third-place finish in the 200 freestyle relay with a time of 1:40.49. Sutton also notched a fourth-place finish in the 50 freestyle in 24.93. Sophomore Anna LaPoint (Fairport, N.Y./Fairport) was the other Seahawk with a podium finish, as LaPoint took sixth in the 500 freestyle in 5:20.31.